The Myth of Muslim Fecundity? I was rifling through Ambedkar’s book on Pakistan (rediscovered it courtesy of Slapstik) and I came across the curious statistic of Sindh’s pre-partition population statistics. I was shocked to see just how high the non Muslim percentage actually was in 1935. 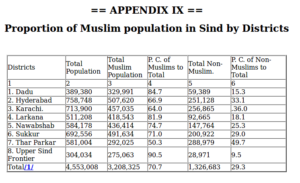 The proportion of non-Muslim in Indus province towns is simply astonishing, Karachi & NWFP. 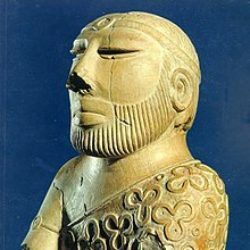 There are 7million Hindus in a global Sindhi population of 26million Sindhis. If that’s true then that means that Hindus are approximately 27%, slightly shy of their 29.3% figure in 1935. The Bengali Muslim population is estimated to be at 55% in 1935. Presently out of 300mm Bengalis worldwide, 185mm (61%) are estimated to be Muslim. The caveat is that these 1935 Bengali districts don’t include Sylhet. My rough calculations is that the Sylethi population could potentially increase the 55% Muslim figure in 1935 to as high as 58%. 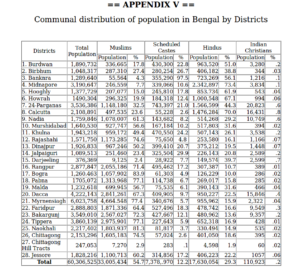 In conclusion the Hindus & non-Muslims of Bengal and Sindh have been able to maintain their relative strength in population even though the Muslim minorities can be said to be poorer and less educated (especially in the case of Sindh, the Sindhi Hindu diaspora is particularly prosperous). There is also the additional factor that Bangladesh has embarked, quite successfully, on family planning and other social projects. The Myth of Muslim fecundity may have some basis but it is also heavily exaggerated. In this case Demographics is not Destiny. Ps:These figures are iffy at best since they rely on Wikipedia; for instance the Sindhi Hindu totals do not add up to 7mm but I’m going on what’s generally available. in 19th century rumelia muslims had lower fertility. they lived in cities. christians did not. point being there is nothing intrinsic to muslim fertility. it’s just the social background determining these things across religions. p.s. in africa ‘traditionalists’ have higher fertility than xtians and muslims because they are so backward. Overall figures for British India in 1947 was about ~25% Muslim, and if you put India, Pakistan and Bangladesh together today, it is ~32% Muslim. You show religious demographics not having changed substantially among Sindhis and Bengalis, then what explains the large sub-continental change? In Kerala, between 1951 and 2011, muslim population has risen only from ~22% to ~26%, again rising slower than sub-continental average. The rise of Muslim population in the Indo-Gangetic plain and Assam must be huge to make up the sub-continent-wide numbers. It is in the Gangetic plain that muslims are clearly more disadvantaged than in Kerala, Sindh and Bengal, perhaps placing more of a premium on strength in numbers, but that argument doesn’t hold in Punjab. yes. this is where it is. also pakistan has a high TFR. it’s like UP and bihar in that respect. 7% in 70years is not so dramatic; also Pakistan and Indian Muslims are a generation behind in family planning. My wife’s generational cohort are all 2 child family (she doesn’t have a single cousin who has more than one sibling) whereas in Pakistan the same cohort was still 3 or 4 children families (3 was seen as the lower figure). I may write a post on this but the drop in fertility is one of the great advancements of modern civilisation. The Hindu population of Pakistan seems to be increasing faster than the Muslim population. My links to primary sources are all broken/lost so here is a secondary source. 2) we forget how much of an agricultural powerhouse Pakistan, and especially Punjab, was in 1947. Here is Jinnah’s speech to an Australian audience. Food production allowed a lot of room to grow. Just to clarify, does the 1951 census include ahmadis as muslims? Weren’t they declared non-muslim only in the 70s. Does that skew your argument in #1? The Hindu population of Pakistan is poorer than the national median. I remember when a Christian sweeper went to go in for vasectomy he was refused as he was told he only had 4 children. Pakistan does have a very pro-natalist culture. Partition ran through India’s breadbasket; very sad..
33% of total tonnage of rice? The rice production statistics from 1961 to 2014 show that Pakistan produced only 3-4% of India’s rice production. If he was right, it is almost calamitous that Pakistan dropped so significantly. Though I think he was clearly exaggerating. And ~27% of India’s wheat production – which is depressed but in the same ball park as the 40% figure. 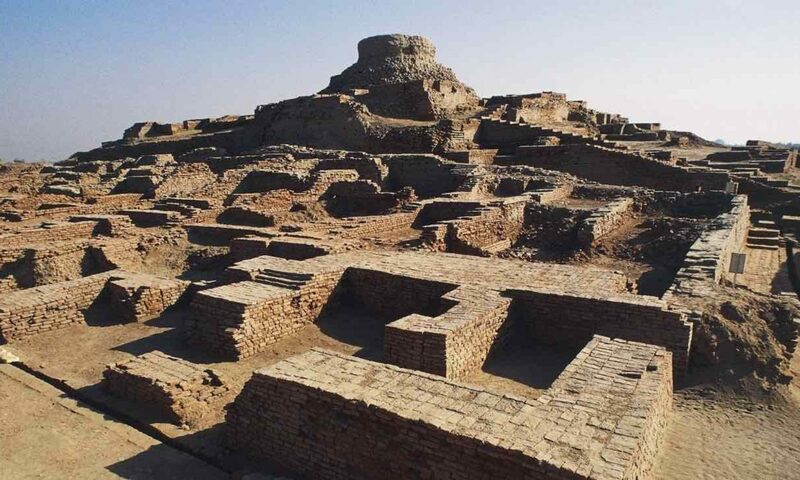 West Punjab was an agricultural powerhouse because of the canal colonies; Pakistan has most likely shifted into cash crops? It was calamitous. But not what you’re thinking. The riceopedia data has been retconned (adjusted to create retroactive continuity). You have to add back Bangladesh (east Pakistan). Gives United Pakistan a number between 20 and 30 percent. Still off a bit, but closer. To be fair I was wondering if Bangladesh indepedence had something to do with it, but wasn’t quite sure. Always apples to apples. Ahmadis were officially Muslims in 1951, and i add them back as Muslims when I cite post 1974 census data. Same site has great tehsil level maps of Punjab, and districts maps of Bengal, UP/Bihar, Sri Lanka, etc. What an absurd proposition .. Interesting – what do you mean exactly?